We work to get all orders out within 24 hours. 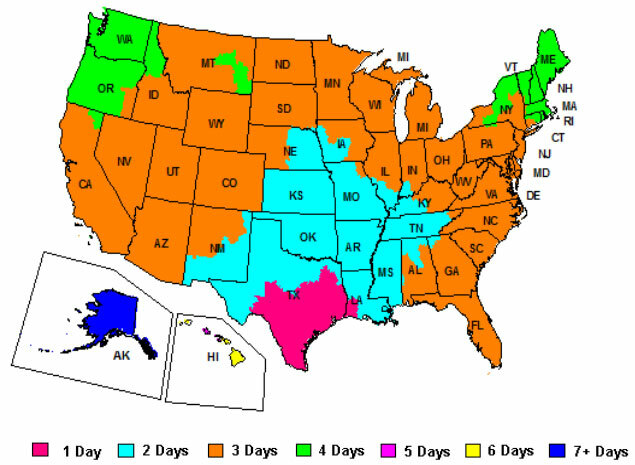 Depending on your location, we ship through FedEx, United States Postal Service, and sometimes UPS. Free shipping only available for orders $99 or more. Offer ONLY valid for shipping within the Continental United States (48 contiguous states). Extra shipping charges apply outside of these continental states, such as Alaska, Hawaii, Puerto Rico, Guam, Wake Island, Federated States of Micronesia, US Virgin Islands, etc. FedEx ground will be used for most shipments, though very small items may be shipped with US Postal Service. Shipments to those above-listed states and others OUTSIDE of the Contiguous 48 states will be shipped with US Postal Service. The order subtotal must be at least $99 before shipping costs (or sales tax in TX) is added on. If you would like faster shipping, there will be an extra charge for rush delivery. Please call to set up RUSH delivery. OVER-SIZE items such as surf boards, and board bags MAY incur extra shipping charges as well. International shipping is available. Free international shipping available only for orders over $1000 with the purchase of a 2017 kite purchased at original full retail price. Free shipping not available when used with other specials or if the kite has been discounted, placed on a sale, or on closeout. Offer may exclude certain countries because of shipping restrictions. Offer may exclude package deals and closeout items. U.S. Postal Priority Shipping will be used unless otherwise stated. The order subtotal must be at least $1000 before shipping costs are added on. If you would like faster shipping, there will be an extra charge for rush delivery. The customer is responsible for all taxes and customs duties. Kiteboarding.com assumes no responsibility for any extra charges due to foreign taxes and customs duties. Free shipping only applies to 2017 kites valued over $1000, purchased at original retail pricing. Items on closeout and discounted pricing do not apply. Shipping Note: A maximum length limit of 60" (152.4 cm) applies for shipping to most European countries. Some items such as surfboards may not be shipped for this reason.